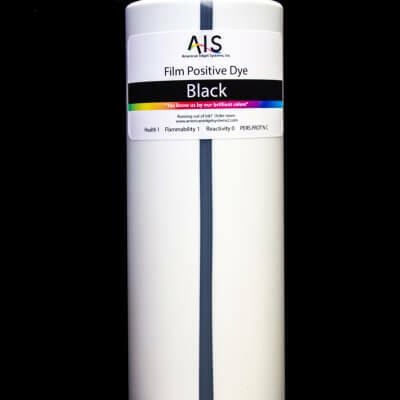 Symphonic deep black is a high quality, UV resistant ink which will print onto most film media. Because film positive printing requires only black ink, the other channels would best be filled with our lubricating fluid with our Flo-Guard. Our lubricating fluid will maintain a moist capping station, preventing the head from drying out and reducing the potential for clogging. We suggest that you purchase a bulk ink refillable cartridge set for your printer to swap over to a film positive setup. This comes with cleaner designed to flush and clean the ink lines, the dampers, the head, and the capping station all at the same time and ensure clean, quality prints.